The Wolves "Man-Up" community service initiative has a long history of connecting with and supporting our brave American soldiers. Our players get the opportunity to learn about real heroes and service to others. And, the troops hopefully get a little taste of home and support from our team. 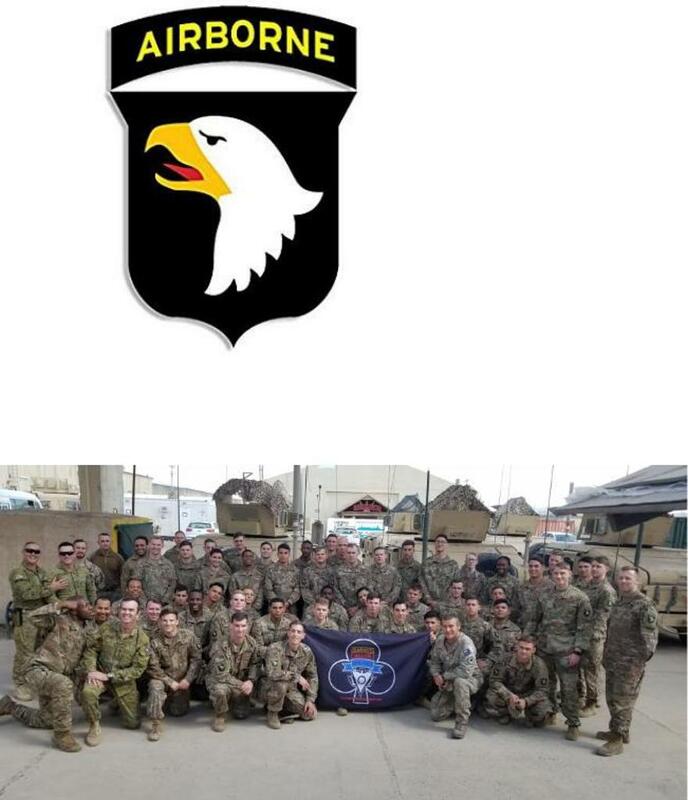 This season Kilbourne Lacrosse is proud to announce a special connection with Charlie Troop, 1-32 CAV, 101st ABN, Ranger Recon. The Troop is a dismounted infantry reconnaissance organization, utilized to be the eyes and ears for the Brigade Commander. They operate in small teams, sending data back to the commander so he can develop plans for follow on forces. As they explained to us, they are almost always the first unit in, and in front of all other units, to maintain contact and eyes on the objective. Charlie Rock is the “official” name of the Troop (but generally go by C or Charlie Troop). The 1/32 CAV SQDN is their parent unit. The Ranger and Recon tabs speak for themselves. As they shared with the team, "We pride ourselves on being able to move long distances, provide surveillance on a target for numerous days, and leave as if we were never there." There are several plans in the works on various ways for the Troop and the team to connect this season as well as opportunities to collect care package donations to send to the Troop. Stay tuned for more plans and information. Please keep all our brave men and women serving in uniform in your hearts and minds and help us support our finest.